Ben Zimmer and John McWhorter have done a diavlog hosted by Bloggingheads. If you know the names, you already know if you're interested. If you don't know the names, they're real linguists who will undoubtedly replace some of your mistaken beliefs and superstitions about language with observations that will prove to be much more interesting. 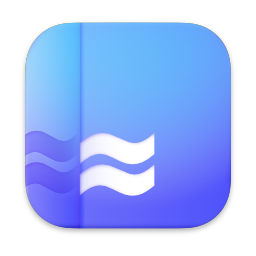 Diavlog is a second-order blend, by the way: it blends dialog and vlog, with the latter element representing a blend of video and blog. Or make that third-order, since blog blends Web and log. My question has long been this: Do we distinguish, with a proper surface representation, a diavlog [dia(log)+[v(ideo)+[((we)b)+log]]] from a diavlog [dia(log)+[v(ideo)+log]] that isn't designed for the web? And how do we know that [v] isn't just an infix, excised from video and inserted into dialog? 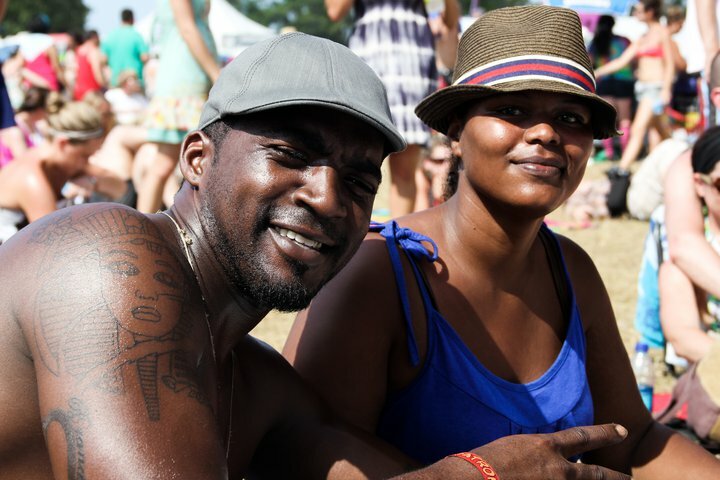 Jay Karas (he's a real person) got this photo of a couple at Bonnaroo, but didn't get their contact information. He's started a group on Facebook, just to find them and share the picture with them. Join up and let's see if anyone can identify them make the connection. Does this sound all right to you? I know most of my readers are American, but does that sound like a convincing British accent? Before you decide to use the tutorial to infiltrate the London scene, read John Wells's simple and detailed explanation of where Tracy Goodwin gets it all wrong. [Update: They say there's no such thing as bad press, as long as they spell your name right. I think Ms Goodwin would prefer they mangle her name. My thanks to OSF for providing this link in the comments. Lovecraft and DFW came up several times. The posts that used a lot of technical terms tended to go towards Lovecraft and the poems where I was expressing frustration thru sarcasm leaned towards DFW. I think the Rowling came from a flowery sappy post. So I then decided to plug in some of my academic papers. A paper I wrote on Virginia Woolf came out like Lovecraft. OK. So I plugged in a paper I wrote about the Navajo Code Talkers. Again: Lovecraft. So I guess Ulysses wasn't overrated after all. Last year I wrote a few hundred words on the adjective thrifty for a book being put together by Workman Publishing Company. The book is now out. It's called Be Thrifty: How to Live Better with Less. They sent me a copy (for free!) and it looks like a fun book. Full of tips and hints for being smart with resources. Given my grad student status, I'd say my real expertise is in the whole living "with less" part. But I'm happy to talk about words whenever asked. And if you're willing to pay me… please do. Disclosure: I was paid up front for what I wrote, and I get nothing from the sales. Of course I still have an interest in making sure the folks at Workman are happy to work with me again if the opportunity arises. The Lexiophiles annual Top 100 list nominations have come out. I'm once again nominated in the "Language Learning" category. My showing last year was better than I expected. And if I make the cut this year, it'll be more than I deserve. Posting has been light, but I'm encouraged by readers who write to tell me they anticipate my return to regular programming. I look forward to the same. Cheers, my friends. From the Chatroulette anonymous video-chat craze are born all varieties of rules and strategies that soon become recognizable when wasting 15 minutes (or 2 hours) on the site. And of course some new words. My favorite: next v.
What do you do when you see something or someone on your screen that you know you don't want to keep seeing? You next them. There's a handy little 'button' at the top of the screen that shuts them off and gives the chamber another spin. It's a lot of power. I had been thinking that "to next" simply meant to hit that little button at any point in the conversation. According to this amusing and informative video, to next is more specific than that: it's clicking the button immediately on seeing the other person. He even provides his own little definition card for the word. 2. when a random stranger clicks the next button immediately after seeing what you look like. I get nexted a lot. Who knows if it's got the legs. A Google™ search brings up 35,500 raw hits for the -ed form, nexted. Nexting gets 121,000 hits, but from a greater variety of context, not all related to this use. Interestingly, the -ing form has another even more specialized use: nexting is an activity in which a group of friends gathers together to watch the Chatroulette screen together, to laugh and point at, or just have fun with the people they're connected with. There's a divergence here from the sense of turning away immediately. The "nexting parties" I've seen on there often engage with me. They like to make comments about my beard, and call me Kimbo. Or Kerry King. Discourse is interesting on the site. The strategies for engaging and sizing up your "partner" are starting to reveal some patterns. Tests of verity and other feelers are common. Is this a real person I'm talking to? (There are several programs that make "fake" screen characters an issue.) Is this person a pervert? Is this person cool? Is he creepy? Is she freaky? It's a minefield on there and people have learned to do a lot of careful navigating thru it all. From the obvious opening line "Don't next me!" to the more inviting "before you go, can i ask you something?" A word of caution: Chatroulette brings out the worst in people. Mostly in males. One reason nexting became so common and so necessary was the ubiquitousness of self-gratification. Ten minutes on that site makes me want to seriously reconsider shaking any guy's hand again. Because now I know exactly where they've been. Update: Fritinancy has posted more commentary on next, with the important note that the verb isn't new to Chatroulette. She finds a definition dating back to 2004. Tho as she adds, that's "if Urban Dictionary's contributors are to be trusted." My advice: we should never trust them, but we can often believe them. It makes perfect sense that this verb isn't brand spanking new. The word already works well in contexts apart from the website. This new, more specific meaning, can be the focused boost a word sometimes needs to be revived into a new, maybe different, life. Mr Verb has linked to a post at A Walk in the WoRds, that links to other posts that link to other posts. This could go on forever. And so it's proof of Universal Grammar. So there. Does literally have to scope over the entire sentence that it’s part of, or are we cool as long as it’s highlighting some part of the sentence as the literal truth? He provides a couple of examples for us to judge. It seems he believes highlighting is OK.
My view: I agree. The target sense can be, and often is, localized to one part of the claim. If you care to read more of my take on this, just take a stroll down memory lane. You don't wanna get mixed up with a guy like me. I'm a loner Dottie. A rebel. The meeting will now come to order. Our agenda for the day is as follows. 1) Provide assurance that I am still here, and this link is not defunct. 3) Share great news about language writing in major media outlets. So our first item has been accomplished. If you're reading this, you know it's been written. Let's move on to the next. Hereby pledged. Timeline still pending. The New York Times has announced that Ben Zimmer is now the regular "On Language" columnist. He will carry on, and add to, the legacy of the late William Safire. This is very exciting. The column has a large readership, and wields great influence over the tenor of common observations about language. Mr Zimmer will certainly be a fair, insightful, incisive, and accurate commentator. The space is in good hands. *I only ask--beg, plead--that Neal Whitman not remove me from the "frequently updated" blog list. Because occasional gaps are allowed, right? The annual Lake Superior State Banished Words list is up. It's always a great way to get my eye-rolling started for the year. If you want the link, Google™ it. It deserves no direct traffic from my 7 readers. Here is the list, followed by one or two comments from those who cherish the peeve-fest; that followed by my snarky responses. "Do I really need a reason? Well, if so how about this: I just saw it in tandem with 'cyber-ready' and nearly choked on my coffee. It's starting the '-ready' jargon. Makes me 'vacation-ready.'" – Karen Hill, Ann Arbor, Mich. It's starting the jargon? That must explain the cable-ready T.V. we had back in the 80's, and the Roast-ready rib cited from 1926 by the OED. "In the lexicon of the political arena, this word is supposed to mean obvious or easily understood. In reality, political transparency is more invisible than obvious!" -- Deb Larson, Bellaire, Mich. I suppose you'd also like to banish the words honesty trustworthiness and accountability because those politicians are so undeserving of them. And for what it's worth, in the lexicon of the political arena the words actually refer to policies of full disclosure, not necessarily ease of understanding. How about criticizing only words you know? "We have appointed a czar of such-and-such; clearly that's better than a 'leader,' 'coordinator' or 'director'! -- Derek Lawrence, Thunder Bay, Ont. When pressed for space, yes: czar is much better than those words. The official titles have used such terms as Director, Coordinator , Administrator, Advisor, Assistant Secretary, Special Representative, Counselor, Chairman, and many many more words that you'd love. But headlines don't love such long words. And neither would you if you had to write them. "People tweet and retweet and I just heard the word 'tweet' so many times it lost all meaning.” – Ricardo, Merida, Yucatan, Mexico. "Is there an 'app' for making this annoying word go away? Why can't we just call them 'programs' again?" – Kuahmel Allah, Los Angeles, Calif.
Because you would complain about that word and would whine about how we should call them mathematical tasks designed for solution by the Electronic Numerical Integrator And Computer. "Any dangerous new trend that also happens to have a clever mash-up of words, involves teens, and gets television talk show hosts interested must be banished." – Ishmael Daro, Saskatoon, Sask., Canada. I'm going to banish rock-and-roll next. "'Befriend' is much more pleasant to the human ear and a perfectly useful word in the dictionary." – Kevin K., Morris, Okla.
Tho it doth spleet the ears of the groundlings, friend is in the dictionary. And it was used by Shakespeare. Probably not in relation to Facebook tho because his dictionary hadn't yet given him permission. Can I use it if I make sure to whisper it when you're around? "It's a condescending substitute for 'opportunity to make a point,'" says Eric Rosenquist of College Station, Tex. And this is a condescending substitute for reasonable discussion of language. "Overused and redundant. Aren't ALL times 'these economic times'?" -- Barb Stutesman, Three Rivers, Mich.
Why do you think we have to use the phrase so much?! "What next, can I go down to the local bar and down a few drinks and call it a stimulus package?" – Richard Brown, Portland, Ore.
My guess is your package has very little to do with stimulation. "Whatever happened to simply 'bad stocks,' 'debts,' or 'loans'?" -- Monty Heidenreich, Homewood, Ill. They were bought-out by Richard Brown's round of drinking. "Does such a thing exist? We'll never know if a company is too big to fail, unless somehow it does fail, and then it will no longer be too big to fail. Make it stop!" – Holli, Raleigh, NC. Duuude. And what if you could, like, design a flashlight that was powered by its own light? It would be like time travel, man. "I am sick of combined words the media creates to make them sound catchier. Frenemies? Bromances? Blogorrhea? I'm going to scream!" – Kaylynn, Alberta, Canada. You hear that, media? We humans are on to you! "A made-up word used by annoying Gen-Yers." – Chris Jensen, Fond du Lac, Wisc. I hate made up words. When will these Gen-Yers learn to reap them naturally from the soil like the not-at-all-annoying Baby Boomers and Gen-Xers. The LSSU Word Banishment Committee held out hope that folks would want to Obama-ban Obama-structions, but were surprised that no one Obama-nominated any, such as these compiled by the Oxford Dictionary in 2009: Obamanomics, Obamanation, Obamafication, Obamacare, Obamalicious, Obamaland….We say Obamanough already. Ok, Obama-structions follows the template of a morpheme meaning that something is done in a style related to or characterized by Obama's platform or his manner, or the sensibilities of his supporters. But Obama-ban? That's Obama-tarded. Jan Freeman's The Word blog has moved to a new perch. Gotta say, I like the name: Throw Grammar from the Train. Especially if said with a non-rhotic accent. But wait! Considering the addition of coda [ɹ] to word final [ə]—which addition is characteristic of some New England dialects—it can work either way. Many years ago, when… say… John Kerry's accent was full of more regional markers, he might have pronounced grammar without the final [ɹ], and he might have pronounced grandma with the final [ɹ]. So— my pronunciation of the blog title sounds a lot like our young John Kerry saying "Throw Grandma from the train." And— young John Kerry's pronunciation of the blog title sounds a lot like me saying "Throw Grandma from the train." * Not a meaningful post title. Just a quote from the movie, Throw Momma from the Train. ** The young Kerry I've created for this post, does indeed speak as I'm suggesting. That's the nice thing about historical fiction. The facts fit my needs.